1. Expect to get up early. Registration begins bright and early at 6:30 a.m. on June 10 by the cannon in the city park on Tritscheller Road. The race officially kicks off at 8 a.m.
We moved The City Run to June this year in hopes of warmer weather, no rain and more sunshine. 3. Expect a new race route. We shake up the race route each year to keep things fresh and funky. 4. Expect to have FUN. In addition to a new race route this year, we’ve also added a Kids Fun Run. It will take place at 11 a.m. in front of Paper City Coffee on Paint Street. Bring the whole family! 5. Expect to meet some new friends. You’ll likely see some familiar faces among the crowd of Chillicothe residents, business owners, professional runners, first-time runners, mom’s with strollers, families and even dogs. (Yes, dogs. Bring your pup!) But chances are, you’ll also make some new friends. 6. Expect to get a high-five or two. As you cross the Finish Line, grab a high-five from our Finish Line Team and bask in the fact that you did it! 7. Expect to hear some awesome music. Finish the race on a high note with local, live entertainment. Don’t forget to grab your bag of fresh produce, water bottle and Jimmy John’s sandwich! 9. Expect lots of pictures. No need to bring a selfie stick. 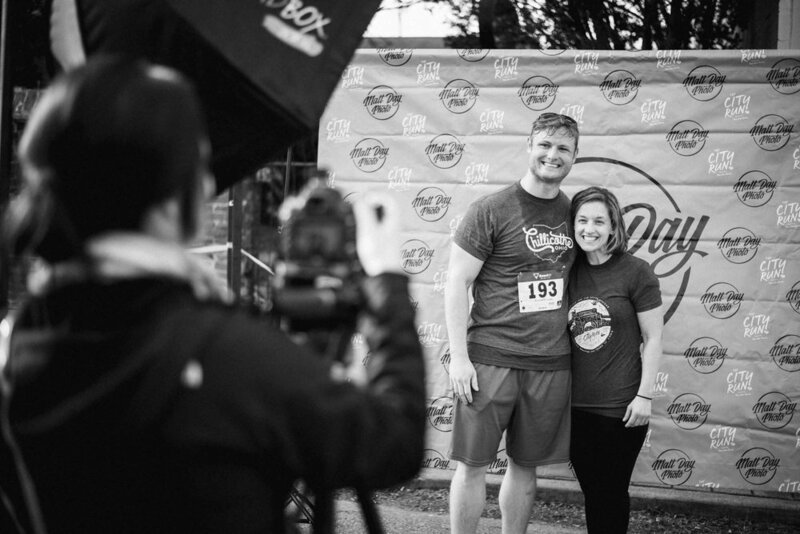 Just head on over to the photo booth, where Matt Day Photo will take your professional race photo. 10. Expect your contribution to positively impact our community. Each year, all race proceeds go toward the needs and advancement of Chillicothe. This year’s race proceeds will go to The Mighty Kid’s Museum, coming to downtown Chillicothe this fall. All proceeds will go towards funding one of the museum’s final exhibits, The Playful Tree. The City Run is a 5K race in Chillicothe, Ohio that gives all race profits to wherever the City of Chillicothe needs it most. It's the funnest 5K in town!